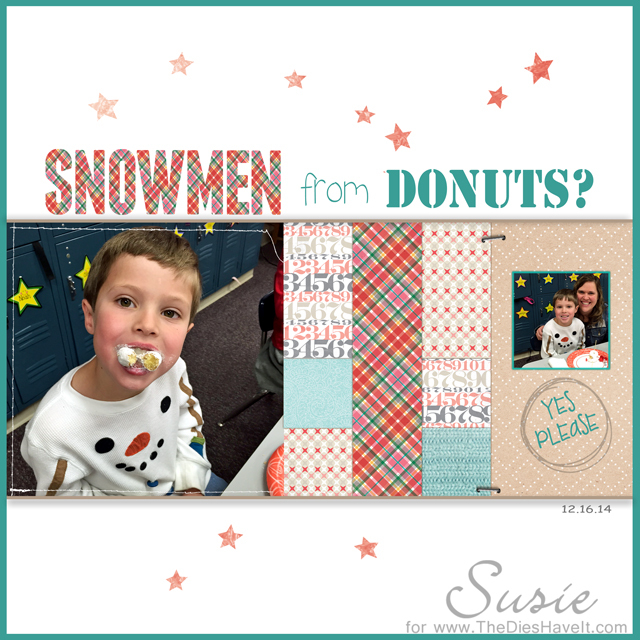 Created 4 Creativity : Snowmen from Donuts? I used the brand new Jenni Bowlin's Snowy Weather kit for my layout. The patterned papers were just perfect for Caleb's school Christmas party story. I love when a plan comes together!